An extensive bibliography of works by or about Maria Montessori and Montessori education. Note: If you know of any works that should be in this list please contact Tim Seldin. Adler-Golden, Rachel; Gordon, Debbie. (1980) Beginning French for Preschoolers: A Montessori Handbook. Hemet, CA: Education System Publisher. Albanesi, Franco. (1990) Montessori Class Management. Dallas: Albanesi Educational Center. Alex, Joanne DeFilipp; Wolf, Aline. (2003) I Wonder What’s Out There: A Vision of the Universe for Primary Classes. Hollidaysburg, PA: Parent Child Press. Appelbaum, Phyllis. (1971) “The Growth of the Montessori Movement in the U.S.: 1909-1970? (an unpublished doctoral dissertation for New York University, available through University Microfilms International, 300 North Zeeb Road, Ann Arbor, Michigan 48106. Association Montessori Internationale. (1970) Maria Montessori: A Centennial Anthology. AMI(out of print). Baumann, Harold. (1999). On the Historical Background of the Montessori-Piaget Relations. Amsterdam: AMI. Beck, Joan. (1999). How to Raise a Brighter Child: The Case for Early Learning. Rev. ed. New York: Pocket Books. Berryman, Jerome W. (1995). Godly Play: An Imaginative Approach to Religious Education. Augsburg Fortress Publishers. Berryman, Jerome W. (1995). Teaching Godly Play: The Sunday Morning Handbook. Nashville, KY: Abingdon Press. Berryman, Jerome W. (2002). The Complete Guide to Godly Play. 3 volumes: 1. How to Lead Godly Play Lessons; 2. 14 Presentations for Fall; 3. 20 Presentations for Winter. Denver, CO: Living the Good News. Berryman, Jerome W. (2003). Godly Play: 10 Core Presentations for Spring. Denver, CO: Living the Good News. Berryman, Jerome W. (2003). Practical Helps from Godly Play Trainers. Denver, CO: Living the Good News. Bethune, Ade. (1964). Uniscript: A New Method for Teaching Handwriting. Newport, RI: St. Leo League. Nienhuis Montessori USA. Bethune, Ade. (1980). Teaching the Child to Write. pamphlet. Newport, RI: St. Leo League. Available from Nienhuis Montessori USA. Brehony, Kevin J. (2000). “The Montessori Phenomenon: Gender and Internationalism in Early Twentieth-Century Innovation.” In Practical Visionaries: Women, Education, and Social Progress, 1790-1930. Ed. Mary Hilton & Pam Hirsch. New York: Longman. Camp, Cameron J. (1999). Montessori-Based Activities for Persons with Dementia: Volume 1. Beachwood, OH: Myers Research Institute. Cavalletti, Sofia. (1992). The Religious Potential of the Child: Experiencing Scripture and Liturgy with Young Children. 2nd ed. Chicago: Liturgy Training Publications. Cavalletti, Sofia. (1998). Living Liturgy: Elementary Reflections. Chicago: Liturgy Training Publications. Cavalletti, Sofia. (1999). History’s Golden Thread: The History of Salvation. Trans. Rebekah Rojcewicz. Chicago: Liturgy Training Publications. Cavalletti, Sofia. (2002). The Religious Potential of the Child Six to Twelve Years Old. Chicago, IL: Liturgy Training Publications. Cavalletti, Sofia; Coulter, Patricia; Gobbi, Gianna; Montanaro, Silvana Q. (1996). The Good Shepherd and the Child: A Joyful Journey. Chicago: Liturgy Training Publications. Chattin-McNichols, John. (1991). The Montessori Controversy. Albany, NY: Delmar. Available from AMS. The Child, the Family, the Future. (1995). AMI International Study Conference Proceedings, July 1924, 1994, Washington, DC. Rochester, NY: AMI/USA. DeJesus, Raquel. (1988, 2000). Design Guidelines for Montessori Schools. Milwaukee, WI: Univ. of Wisconsin-Milwaukee, Center for Architecture/Urban Planning Research. Duffy, Michael; Duffy, D’Neil. (2002). Children of the Universe: Cosmic Education in the Montessori Elementary Classroom. Hollidaysburg, PA: Parent/Child Press. Dwyer, Muriel I. A Path for the Exploration of Any Language Leading to Writing and Reading. Essex, England: Doppler Press. NAMTA. Epstein, Ann, Ph.D. “School-Wide Discipline with a Montessori Perspective.” Montessori Leadership, Spring, 2001. Epstein, Ann, Ph.D.; Collins, B.; Reiss, T.; and Lowe, V. “Including Children with Mental Retardation in the Religious Community.” Teaching Exceptional Children, May/June, 2001. Epstein, Ann, Ph.D. “The Behavior Part is the Hardest: Montessori Teachers and Young Children with Challenging Behaviors.” Montessori Life, Fall, 1998. Epstein, Ann, Ph.D. “How Teachers Accommodate for Young Children with Special Needs.” Montessori Life, Summer, 1997. Epstein, Ann, Ph.D. “Montessori Early Childhood Language: Life-Long Literacy.” Tomorrow’s Child, 1996. Epstein, Ann, Ph.D.; Schonfeld, J. “We Are All Authors!” Montessori Life, 1996. Epstein, Ann, Ph.D. “Is Montessori Education Right for My Child?” The Public School Montessorian, 1994. Epstein, Paul, Ph.D. “An Ethnographic Investigation of a Teenage Culture in a Montessori Junior High School,” Unpublished dissertation, SUNY, Buffalo, 1986. Epstein, Paul, Ph.D. “Serving on the Front Line.” Tomorrow’s Child, 2003. Epstein, Paul, Ph.D. “Montessori Moments.” Tomorrow’s Child, 2001. Epstein, Paul, Ph.D. “The Spiritual Preparation of the Teacher.” Open Forum, 2001. Epstein, Paul, Ph.D. “It Takes a Whole Child to Raise a Village. Accomplishing Educational Reform in Nepal.” Montessori Leadership, 2000. Epstein, Paul, Ph.D. (with Epstein, A., Ph.D.) “Computers. Are There New Secrets of Childhood.” Montessori Leadership, 2000. Epstein, Paul, Ph.D. “The Necessity for Spirituality in Education: A Montessori Example.” Montessori Leadership, 1999. Epstein, Paul, Ph.D. “Computers in the Classroom.” Tomorrow’s Child, 1998. Epstein, Paul, Ph.D. “A Parent’s Guide to Middle Schools.” Tomorrow’s Child, 1998. Epstein, Paul, Ph.D. “Implementation: Preparing and Developing a Public School Management Guide.” in B. Weiss, Ed., The Montessori School Management Guide, The American Montessori Society, 1998. Epstein, Paul, Ph.D. “Middle Level Programs ? Models of Understanding,” Research for Families and Children Newsletter, Fall 1997. Education for the Twenty First Century: AMI International Study Conference Proceedings. (1989). Rochester, NY: AMI/USA. Farrow, Elvira; Hill, Carol. (1973). Montessori on a Limited Budget: A Manual for the Amateur Craftsman. Ithaca, NY: Montessori Workshop. Nienhuis Montessori USA. Also published 1984, Hemet, CA: Education System Publisher. Fleege, Virginia; others. (1974). Montessori Index. Annotated bibliography of primary and secondary Montessori works. 2nd ed. River Forest, IL: Montessori Publications. Nienhuis Montessori USA. Freedom & Responsibility: A Glorious Counterpoint. (2001). Proceedings of AMI/ USA Conference, Boston, MA, July, 2000. Rochester, NY: AMI/USA. Fresco, Grazia Honegger. (1993). Montessori Material Contained in Some of the Catalogues Published in New York, London, Bucharest, Berlin, Gonzaga from 1910 up to the 30s, 2nd ed. Dual language edition, English and Italian. Castellanza, Italy: Il Quaderno Montessori Editions. Available in the U.S. through Kaybee Montessori. Futrell, Kathleen H. (1988). The Normalized Child. Rev. ed. Cleveland, OH: NAMTA. Gettman, David. (1988). Basic Montessori: Learning Activities for Under-Fives. New York: St. Martin’s Press. Gillet, Anne Marie. (1970). Introduction to Biology. Offprint from AMI Communications. Amsterdam: AMI. Gobbi, Gianna. (2000). Listening to God with Children. Trans. Rebekah Rojcewicz. Loveland, OH: Treehaus Communications. Goertz, Donna Bryant. (2001). Children Who Are Not Yet Peaceful: Preventing Exclusion in the Early Elementary Classroom. Berkeley, CA: Frog, Ltd.
Gordon, Cam. (2001). Together with Montessori: The Guide to Help Montessori Teachers, Assistant Teachers, Resource Teachers, Administrators & Parents Work in Harmony to Create Great Schools. 2nd ed. Minneapolis, MN: Jola Publications. Nienhuis Montessori USA and The Montessori Foundation. Grace and Courtesy: A Human Responsibility. (1999). Proceedings of AMI/ USA Conference, Oak Brook, IL, July, 1998. Rochester, NY: AMI/USA. Gross, Michael John. (1986). Montessori’s Concept of Personality. Dissertation, Univ. of Nebraska, 1976. University Press of America. Gupta, Rajendra K. (1983). A New Approach to Zoology Nomenclature. Oak Park, IL: Montessori Center for the Child. Nienhuis Montessori USA. Gupta, Rajendra K. (1986). Science Experiences for Montessori Children Part 1. Minnesota: Montessori Research and Development Center. Nienhuis Montessori USA. Gupta, Rajendra K. (1986). Science Experiences for Montessori Children Part 4. Minnesota: Montessori Research and Development Center. Nienhuis Montessori USA. Gupta, Rajendra K. (1986). Science Experiences for Montessori Children Part 5. Minnesota: Montessori Research and Development Center. Nienhuis Montessori USA. Gupta, Rajendra K. (1987). Researching Montessori Zoology Program. Minnesota: Montessori Research and Development Center. Nienhuis Montessori USA. Gupta, Rajendra K. (1995). Botany as a Means of Development (Based on the Montessori Approach). Minnesota: Montessori Research and Development Center. Nienhuis Montessori USA. Gupta, Rajendra K. (1995). Science Experiences for Montessori Children Part 2. Minnesota: Montessori Research and Development Center. Nienhuis Montessori USA. Gupta, Rajendra K. (1995). Science Experiences for Montessori Children Part 3. Minnesota: Montessori Research and Development Center. Nienhuis Montessori USA. Hainstock, Elizabeth G. (1997). Teaching Montessori in the Home: The School Years. Rev. ed. New York: Plume. Hardinge, Joy. (1992). The Voice of Dr. Maria Montessori: Lectures, Madras, India, 1941-1942. Lectures taken in shorthand. Silver Spring, MD: International Montessori Society. Hardinge, Joy. (1993). Montessori Method. Lecture notes, India, 1941-42. Silver Spring, MD: International Montessori Society. Homfray, Margaret. (n.d.). Word Lists for Reading and Writing Scheme. London: Montessori Centre. Avail. Montessori Centre International. Homfray, Margaret; Child, Phoebe. (n.d.). Primary Math. San Luis Obispo, CA: Montessori World Educational Institute. Homfray, Margaret; Child, Phoebe. (1983). Primary Grammar. San Luis Obispo, CA: Montessori World Educational Institute. Joosten, A. M. (n.d.). Learning from the Child. Excerpts from inaugural and valedictory addresses of the 25th and 26th Indian Montessori Training courses, Hyderabad, 1960-62. Amsterdam: AMI. Joosten, A. M. (1987). The Montessori Method: Principles, Results, Practical Requirements. Rev. ed., Madras, India: Kalakshetra. Joosten, A. M. (1990). Exercises of Practical Life: Introduction and List. Ed. Rajendra K. Gupta. Rev. ed. Bombay, India: Indian Montessori Training Courses. Available from Nienhuis Montessori USA. Joosten, A. M.; Gupta, Rajendra; et al. (1985). Montessori Language Program (New Insights and Techniques). Mesa, AZ: Montessori Research Center. Available from Nienhuis Montessori USA. Joosten, Albert. (1994). Education as a Help to Life. Ed. R.K. Gupta. Minnesota: Montessori Research & Development Center. Nienhuis . Joosten, Albert. (1995). The Child’s Right to Develop. Ed. R.K. Gupta. Minnesota: Montessori Research and Development Center. Nienhuis Montessori USA. Jordan, H. J. (1971). Montessori High School. Amsterdam: AMI. Kahn, David. (1995). What Is Montessori Elementary? Cleveland, OH: NAMTA. Katzen-Luchenta, Jan. (1999). Awakening Your Toddler’s Love of Learning. Phoenix, AZ: Emunah Pub Co.
Kilpatrick, William Heard. (1971). The Montessori System Examined. Ayer Company Publishers (originally published in 1922). Kocher, Marjorie B. The Montessori Manual of Cultural Subjects. (1973) T.S. Denison & Company, Inc.
Kramer, Rita. (1988). Maria Montessori: A Biography. 2nd ed. Reading, MA: Addison-Wesley. Lanaro, Pamela Z. (1992). Montessori Materials Research Foundation Mathematics Manual I. San Leandro, CA: Montessori Materials Research Foundation. Lanaro, Pamela Z. (1992). Montessori Materials Research Foundation Mathematics Manual II: Elementary Level. San Leandro, CA: Montessori Materials Research Foundation. Lawrence, Lynne. (1998). Montessori Read and Write: A Parents’ Guide to Literacy for Children. New York: Crown Publishing. Lillard, Paula Polk. (1988). Montessori: A Modern Approach. Rev. ed. New York: Schocken Books. Lillard, Paula Polk. (1997). Montessori in the Classroom. Rev. ed. New York: Schocken. Lillard, Paula Polk; Jessen, Lynn Lillard. (2003). Montessori from the Start: The Child at Home from Birth to Age Three. New York: Schocken. Lillig, Tina. (1998). The Catechesis of the Good Shepherd in a Parish Setting. Oak Park, IL: Catechesis of the Good Shepherd Publications. Lineburgh, Nancy E. (1996). Integrating Music into the Preprimary, Montessori Classroom. Golden Clef Publishing. Loeffler, Margaret Howard (Ed.). (1992). Montessori in Contemporary American Culture. Proceedings of AMS symposium, Arlington, VA, April, 1990. Portsmouth, NH: Heinemann. Long, John; Kahn, David. (1985). Montessori Children’s Project. Three volumes: 1. In the Beginning; 2. The Search for the First Humans; 3. The Human Family. Cleveland, OH: NAMTA. Malloy, Terry. (1987). Montessori and Your Child: A Primer for Parents. 2nd ed. New York: Schocken Books. McCarrick, Sr. Anne. (1972). Montessori Matters. Cincinnati, OH: Montessori Matters and E-Z Learning Materials. Available from Nienhuis Montessori USA. McFarland, Sonnie. (1993). Shining Through: A Teacher’s Book on Transformation. Buena Vista, CO: Shining Mountains Center for Cooperation. Miller, Jean. (2000). Montessori Music: Sensorial Exploration and Notation with the Bells. Mountain View, CA: Nienhuis Montessori USA. Montanaro, Silvana Q. (1997). The Child Is Father of the Man. Dual-language: English/ Italian. Rome: Edizioni Opera Nazionale Montessori. Nienhuis Montessori USA. Montessori 1907-1957. (1958). Reprint of AMI Communications, 1957 #3/4. Amsterdam: AMI. Montessori, Maria. (n.d.). The Decimal System. Excerpts from Psicoaritmetica, with afterword by A. M. Joosten. Amsterdam: AMI. Mineola, NY: Dover Publications; 2002, New York: Eighteen Hundred Seventy Three Press (E-book format). Montessori, Maria. (1914). Dr. Montessori’s Own Handbook. The following edition is currently in print: 1988, New York: Schocken (with intro by Nancy McCormick Rambusch). Montessori, Maria. (1917). The Advanced Montessori Method, Vol. I: Spontaneous Activity in Education; Vol. II: The Montessori Elementary Material. Trans. Lily Hutchinson, Arthur Livingston, Florence Simmonds. The following editions are currently in print: 1989, New York: Schocken (with intro by John J. McDermott; vol. 1 subtitled “Her Program for Educating Elementary School Children”; vol. 2 subtitled “Materials for Educating Elementary School Children”); 1990, Madras, India: Kalakshetra; 1984, Hemet, CA: Education System Publisher; 1991, Oxford, England: Clio Press. Montessori, Maria. (1932). Peace and Education. Address given at 2nd International Montessori Congress, Nice, France, 1932. Editions currently in print: 2002, New York: AMS; 1971, 5th ed., Madras, India: Theosophical Publishing House (available /AMI). Montessori, Maria. (1932). The Mass Explained to Children. The following edition is currently in print: 1998, Ridgefield, CT: Roman Catholic Books. Montessori, Maria. (1936). The Child in the Family. Trans. Nancy Rockmore Cirillo. The following editions are currently in print: 1989, Oxford, England: Clio Press; Madras, India: Kalakshetra. Montessori, Maria. (1936). The Secret of Childhood: A Book for All Parents and Teachers. The following editions are currently in print: 1936, Calcutta: Orient Longmans (Trans. Barbara Barclay Carter); 1982, New York: Ballantine (Trans. M. Joseph Costelloe); 1983, Adyar, Madras, India: Kalakshetra (Carter translation); 1998, London & Hyderabad: Sangam Books (Carter translation). Montessori, Maria. (1946). Education for a New World. The following editions are currently in print: 1946, Madras, India: Kalakshetra Publications; 1989, Oxford, England: Clio Press. Montessori, Maria. (1948). The Child. Adyar, Madras, India: Theosophical Publishing House. Available from AMI. Montessori, Maria. (1948). Child Education. Lectures delivered on All-India Radio. Adyar, Madras, India: Kalakshetra Publications. Montessori, Maria. (1948). The Discovery of the Child. Revised and enlarged edition of The Montessori Method (1912). The following editions are currently in print: 1948, Adyar, Madras, India: Kalakshetra Press (Trans. Mary A. Johnstone, based on 3rd Italian edition); 1976, Mattituck, NY: Amereon Ltd.; 1986, New York: Ballantine (Trans. M. Joseph Costelloe); 1988, Oxford: Clio (Trans. M. Joseph Costelloe, based on 6th Italian edition). Montessori, Maria. (1948). To Educate the Human Potential. The following editions are currently in print: 1948, Adyar, Madras, India: Kalakshetra Publications; 1989, Oxford, England: Clio Press. Montessori, Maria. (1948). Reconstruction in Education. Adyar, Madras, India: Theosophical Publishing House. Available/ AMI. Montessori, Maria. (1948). What You Should Know about Your Child. The following editions are currently in print: 1961, Adyar, Madras, India: Kalakshetra; 1989, Oxford, England: Clio Press. Montessori, Maria. (1949). The Absorbent Mind. The following editions are currently in print: 1959, Thiruvanmiyur, Madras, India: Kalakshetra (First publication of edition rewritten by Montessori in Italian and translated by Claude Claremont. All subsequent English editions based on this one); 1988, Oxford, England: Clio Press Ltd.; 1993, Cutchogue, NY: Buccaneer Books, Inc. (an imprint of Random House); 1995, New York: Henry Holt & Co. (with intro. By John Chattin-McNichols). Montessori, Maria. (1955). The Formation of Man [also published as Childhood Education]. Trans. A.M. Joosten. The following editions are currently in print: 1986, Madras, India: Kalakshetra; 1989, Oxford: Clio Press. Montessori, Maria. (1961). The Two Natures of the Child and the Meaning of Adaptation. Two lectures. Amsterdam: AMI. Montessori, Maria. (1971). The Four Planes of Education. From lectures given in Edinburgh, 1938, and London, 1939. Ed. Mario Montessori. Amsterdam: AMI. Montessori, Maria. (1972). Education and Peace. First published in Italy, 1949, as Educazione e Pace. Incorporates new translation of 1932 address in Nice, France, text of 1947 Montessori Magazine article ?Educate for Peace!? and other lectures. Trans. Helen R. Lane. The following editions are currently in print: 1992, Oxford, England: Clio Press; Madras, India: Kalakshetra. Montessori, Maria. (1973). From Childhood to Adolescence. First published 1948 in German. Contains ?The Erdkinder? and ?The Functions of the University.? The following editions are currently in print: 1996, Oxford, England: Clio Press (Trans. A.M. Joosten); Madras, India: Kalakshetra. Montessori, Maria. (1989). The Child, Society and the World: Unpublished Speeches and Writings. Ed. GÃ1⁄4nter Schulz-Benesch. Trans. Caroline Juler; Heather Yesson. Oxford, England: Clio Press. Montessori, Maria. (1994, 1998). Creative Development in the Child: The Montessori Approach, Vol. 1 & 2. Edited and compiled notes from 1939 Madras course that Mario Montessori translated as a study aid. Ed. Rukmini Ramachandran. Trans. Mario M. Montessori. Madras, India: Kalakshetra. Montessori, Maria. (1997). Basic Ideas of Montessori’s Educational Theory: Extracts from Maria Montessori’s Writings and Teachings. Comp. Paul Oswald; GÃ1⁄4nter Schulz-Benesch. Trans. Lawrence Salmon. Oxford, England: Clio Press. Montessori, Maria. (1997). The California Lectures of Maria Montessori, 1915: Collected Speeches and Writings. Ed. Robert G. Bucken-Meyer. Oxford, England: Clio Press. Montessori, Mario M. (1960). Those Horrible Mathematics! Amsterdam: AMI. Montessori, Mario M. (1960). What about Free Expression and Education as a Help to Life. Two essays. Amsterdam: AMI. Montessori, Mario M. (1966). The Human Tendencies and Montessori Education. Amsterdam: AMI. Montessori, Mario; Montessori, Ada. (1998). Correspondence: Mario and Ada Montessori to Margot Waltuch. Rochester, NY: AMI/USA. The Montessori Method: Science or Belief. (1968). Collection of all the articles from a debate appearing in AMI Communications 1964-1966. Amsterdam: AMI. Montessori, Renilde. (2000). Educateurs sans FrontiÃ¨res. Paris: DesclÃ©e de Brouwer. The Montessori School Management Guide. (1977). New York: AMS. Mooney, Carol Garhart. (2000). Theories of Childhood: An Introduction to Dewey, Montessori, Erikson, Piaget and Vygotsky. St. Paul, MN: Redleaf Press. Motz, Sr. Mary. (1985). Montessori Matters: A History Manual. Cincinnati: Montessori Matters and E-Z Learning Materials. Nienhuis Montessori USA. Mueller, Thomas; Schneider, Romana. (2002). Montessori: Teaching Materials 1913-1935 Furniture and Architecture. German and English. Lakewood, NJ: Prestel USA. Neubert, Ann Burke. (1972). A Way of Learning: A Montessori Manual. Orlando, FL: Distributed by The Early Education Company. Neubert, Ann Burke. (1972). Understanding the Child: The Preparation and Management of the Classroom. Orlando, FL: Distributed by The Early Education Company. O’Connor, Barbara. (1993). Mammolina: A Story about Maria Montessori. Biography for children; foreword by Margot R. Waltuch. Minneapolis, MN: Carolrhoda Books Inc.
Orem, Reginald C. (1969). Montessori for the Special Child. Capricorn Books. Packard, Rosa Covington. (1972). The Hidden Hinge. Notre Dame, IN: Fides Publishing Co. Nienhuis Montessori USA. Parkhurst, Hellen. (1922). Education on the Dalton Plan. New York, NY: E.P. Dutton & Co.; (Reissued 1982): New York, NY: The Dalton School. Pendleton, D. Renee. (2002). The NAMTA Montessori Bibliography and Research Guide, Third Edition. Special issue. The NAMTA Journal 27:2. Perry, Celma Pinho. (1986). Facilitating a Montessori All-Day Program: for Teachers and Parents. Clarendon Hills, IL: MECA-Seton Teacher Education Program. Perry, Celma Pinho; Perry, Desmond F.; Fedorowicz, Meg. (2001). The Cosmic Approach: A Montessori Science Curriculum 0-6 Years Old. 3rd ed. Clarendon Hills, IL: MECA-Seton Teacher Education Program. Perry, Desmond. (2001). The Child: What Every Caring Parent Needs to Know. Includes parent discussion guide. Clarendon Hills, IL: MECA Seton Teacher Education Program. Rambusch, Nancy McCormick. (1998). Learning How to Learn: An American Approach to Montessori. Rev. ed. New York: AMS. Rambusch, Nancy M.; Stoops, John A. (1992). The Authentic American Montessori School: A Guide to the Self-Study, Evaluation, and Accreditation of American Schools Committed to Montessori Education. New York: AMS and The Commission on Elementary Schools of The Middle States Association. The Relevance of Montessori Today: Meeting Human Needs, Principles to Practice. (1997). Proceedings of National Conference, July 25-28, 1996, Bellevue, WA. Rochester, NY: AMI/USA. Rohrs, Herman. (1997). “Maria Montessori.” In Thinkers on Education. Volume 3. Ed. Zaghloul Morsy. India: UNESCO Publishing. Available from Bernan Assoc. Schapiro, Dennis. (2003). Montessori Community Directory. Issued annually. Minneapolis, MN: Jola Publications. Schmid, Jeannine. (1998). Nurturing Your Child’s Spirit: A Montessorian Approach. 3rd ed. Loveland, OH: Treehaus Communications. Seldin, Tim. (1979). “The Need for Secondary Montessori Education in the United States”; AMS, The Constructive Triangle; Spring, 1979. Seldin, Tim. (1979). “The First Montessori High School in the United States,” AMS, The Constructive Triangle; Winter, 1983. Seldin, Tim. (2001). A Guide for the Self-Evaluation, Institutional Development and Accreditation of Montessori Schools Around the World. The Montessori Foundation and the International Montessori Council. Seldin, Tim.(2002). Finding The Perfect Match: How to Recruit and Retain the Right Families for Your School. The Montessori Foundation. Seldin, Tim and Donna. (1986). The World in the Palm of Her Hand: The Montessori Approach to History and Geography for the Young Child. The Montessori Foundation. Seldin Tim; Epstein, Paul. (2003). The Montessori Way: An Education for Life. The Montessori Foundation. Seldin, Tim; Meyer, Musya. (1986). Celebrations of Life ? The Montessori Approach to International Studies. Barrie Press (available through The Montessori Foundation). Seldin, Tim; Wolff, Jonathan. (2001). Building a World Class Montessori School, The Montessori Foundation. Seldin, Tim; Wolff, Jonathan. (2003). Master Teachers/Model Programs: A Montessori Approach to Curriculum Development and Coordination, Staff Development and Professional Supervision. The Montessori Foundation and the International Montessori Council. Shepherd, Marie Tennent. (1996). Maria Montessori: Teacher of Teachers. Biography for children. Minneapolis: Lerner Publications. Smart, J. Ewart. (1970). Dr. Maria Montessori 1870-1952: The Origins of Montessori. Amsterdam: AMI. Spietz, Heidi Anne. (1989). Modern Montessori at Home [Vol. 1]: A Creative Teaching Guide for Parents of Children Six through Nine Years of Age. Rossmoor, CA: American Montessori Consulting. Spietz, Heidi Anne. (1990). Modern Montessori at Home II: A Creative Teaching Guide for Parents of Children 10 – 12 Years of Age. Rossmoor, CA: American Montessori Consulting. Spietz, Heidi A. (1991). Montessori at Home: A Complete Guide to Teaching Your Preschooler at Home Using the Montessori Method. Rev. and expanded ed. Rossmoor, CA: American Montessori Consulting. Spietz, Heidi A. (1993). A Complete Guide to Teaching Your Child Beginning Spanish. Rossmoor, CA: American Montessori Consulting. Spietz, Heidi A. (1993). Reading, Writing and Spelling in Spanish 1. Rossmoor, CA: American Montessori Consulting. Spietz, Heidi A. (1994). Basic French Vocabulary. Rossmoor, CA: American Montessori Consulting. Spietz, Heidi Anne. (1999). Montessori Resources: A Complete Guide to Finding Montessori Materials for Parents and Teachers. Rossmoor, CA: American Montessori Consulting. Standing, E.M. (1998). Maria Montessori: Her Life and Work. Rev. ed., with introduction by Lee Havis. New York: Dutton-Plume. Stephenson, Margaret E. (1971). Montessori ? an Unfolding ? the Child from 3 to 6. Amsterdam: AMI. Stephenson, Margaret E. (2002). A Collection of Essays by Margaret E. Stephenson. Limited edition ? individually bound previously published lectures. Rochester, NY: AMI/USA. Stephenson, Susan. (2003). Michael Olaf’s Essential Montessori. Catalog/booklet in two volumes: The Joyful Child (birth to three) and Child of the World (three to twelve+). Arcata, CA: Michael Olaf Montessori Company. Thrush, Ursula. (1982). Maria Montessori Farmschool Erdkinder. San Francisco: Author. Nienhuis Montessori USA. Thrush, Ursula. (1992). 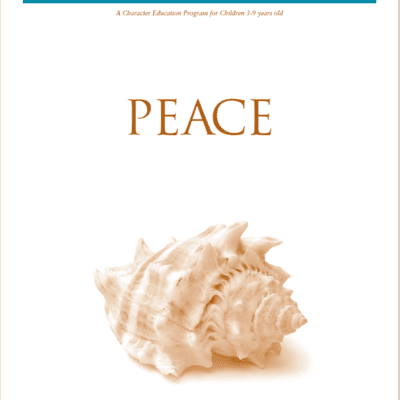 Peace 101: The Introduction of Education for Peace as a Mandatory Subject of the Montessori Teacher Education Curriculum.Nienhuis Montessori USA. Tornar, Clara. (2001). Montessori Bibliografia Internazionale/International Bibliography 1896-2000. Dual-language edition, Italian and English, with CD-ROM. Rome: Edizioni Opera Nazionale Montessori. Turner, Joy Starry. (1997). The Montessori Life Index: Volumes 1 to 9 Fall 1989-Fall 1997. New York: AMS. Waltuch, Margot. (1986). A Montessori Album: Reminiscences of a Montessori Life. Cleveland, OH: NAMTA. Wentworth, Roland A. Lubienski. (1999). 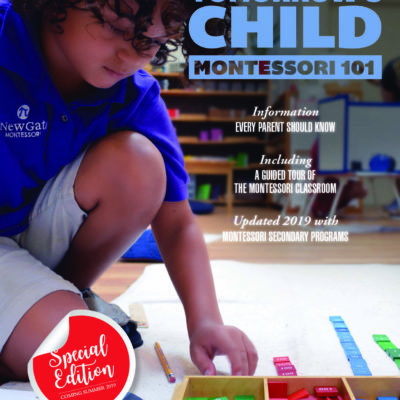 Montessori for the Millennium: Practical Guidance on the Teaching and Education of Children of All Ages, Based on a Rediscovery of the True Principles and Vision of Montessori. Mahwah, NJ: Erlbaum. Wild, Rebeca. (2000). Raising Curious, Creative, Confident Kids: The Pestalozzi Experiment in Child-Based Education. Boston: Shambhala. Wolf, Aline D. (Comp.). (1978). Look at the Child: An Expression of Maria Montessori’s Insights. Altoona, PA: Parent Child Press. Wolf, Aline. (1981). A Book about Anna for Children and Their Parents. Altoona, PA: Parent Child Press. Wolf, Aline. (1984). Mommy, It’s a Renoir! Altoona, PA: Parent Child Press. Wolf, Aline. (1994). Andy and His Daddy: A Book for Children and Their Parents. Altoona, PA: Parent Child Press. Wolff, Jonathan; Ball, Edgar. (1999). Empowering Staff to Support Organizational Objectives: Creating an Administrative Environment That Fosters Harmony, Loyalty and Teamwork. Encinitas, CA: Learning for Life. Yankee, Helen M. (1983). Montessori Math: The Basics. Hemet, CA: Education System Publisher. Yankee, Helen M.; Schifrin, Ann. (1984). Montessori Geography. Manual. Hemet, CA: Education System Publisher. Yankee, Marie. (1997). Montessori Curriculum Manual. Hemet, CA: Education System Publisher. Authors’ Note: Our thanks to the North American Montessori Teachers’ Association (NAMTA) for their assistance in compiling this bibliography.